Free delivery and pickup over central to north-eastern suburbs of Melbourne. 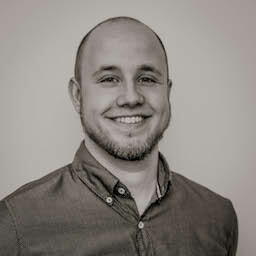 Cheapest hire in melbourne – will beat any other quote! I can provide a tax invoice, and I accept cash, paypal or on-the-spot card payments. 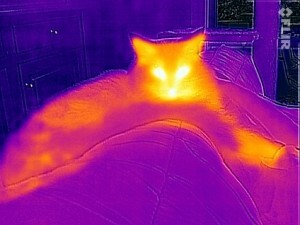 Rent a Thermal Camera: see the heat loss! This Flir On e is fantastic for checking for drafts around the home or workplace, checking walls for potential pipe leaks, and many other applications like looking for thermal losses from windows, roofs or walls. Thermal surveys or thermal scanning onsite – this little device can do the job. Thermal mapping with the Flir One of your house can save you significant amounts of money on heating and cooling – improving your home’s energy efficiency. The Story… Why am I doing this? I’ve bought a Flir One Thermal Camera for iOS for my personal use, and making it available for hire to recover some of the purchase cost! I’m not doing this as a business, just as an individual, and hope that access to a cheap thermal camera will enable homeowners and landlords to save money on heating and cooling costs. I’m based in Melbourne, Victoria so if you are looking to buy a flir or seek thermal camera – perhaps save some money and just rent mine? 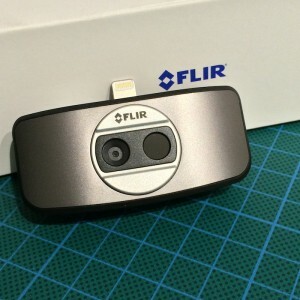 This thermal imaging camera model is the Flir One for iOS and requires an iPhone or iPad to use. The Flir One thermal camera available for rent has a native resolution of 160×120 – this is BETTER than Flir i3 and i5 and just as good as Flir i7 that costs many thousands. The image is further enhanced with MSX technology to provide a 640×480 image. You can read more about this model and its capabilities here. It can even record video and time-lapse using the easy Flir One app. If you are in melbourne and want to rent a flir one thermal camera, just see my new thermal camera hire and rental site. 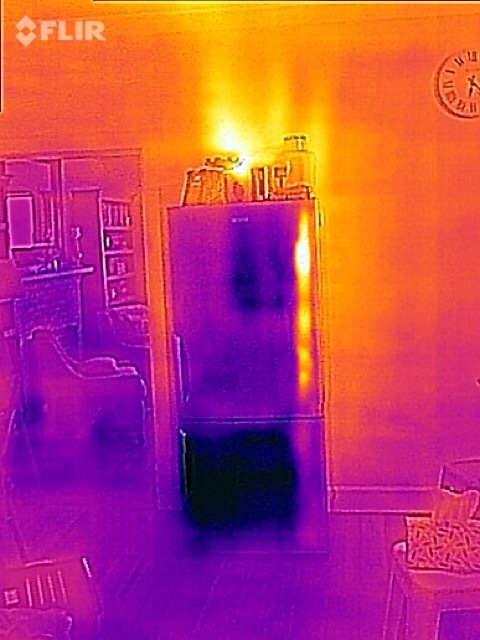 See the cold freezer compartment on our fridge in the darker colour, and notice the heat that comes out the back of the fridge radiating up the wall!